At this time of year I become conscious of an affliction which burdens so many in our community. Just as rodents infected with Toxoplasmosis will throw themselves in the path of cats, the human disease of Toxexmasosis overwhelms otherwise (reasonably) rational people with a compulsion to throw themselves into an exhausting frenzy of purchasing. 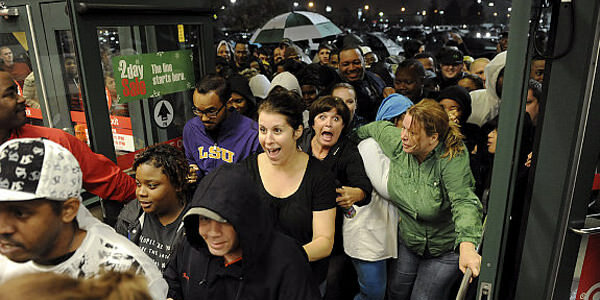 A more virulent strain of Toxexmasosis has recently been introduced from abroad: So-called ‘Black Friday’, first identified on the dark side (of the Atlantic), infects the population even earlier in the season and every year provokes more rabid behaviour. Newly introduced to the therapeutic arsenal is #AltXmas16, which will be trialled on the afternoon of Sunday 27 November in a Crouch End clinic (for one day only). It allows a measured return to spending after the BND detox, providing a safe environment in which to act out the problem behaviour with reduced toxic side-effects. If you would like to be part of this trial, you will find details below. In a healing environment gentle volunteers guide the patient towards nontoxic options: fairtrade, recycled, and locally made objects, and gift vouchers for stimulating new experiences. Even people fortunate enough to be totally free of the debilitating compulsion to exchange gifts in a formulaic meaningless manner will be able to spend an afternoon sampling refreshments, listening to music and experiencing general pleasantness. I encourage you to try #AltXmas16 yourself, and to spread the word to anyone who you feel may benefit from it. Let me leave you on a positive note with this case study from my personal journey. By strongly resisting the urge to buy people gifts, I observe that I also reduce other people’s desire to buy them for me, thus creating a positive feedback loop, and illustrating how recovery can be a beautifully reciprocal experience. And here's an uplifting little seasonal film about goodwill at Christmas. 1. Experts ascribe this to the stress of cognitive dissonance caused by trying to believe one is an agent of goodwill, while suppressing the knowledge of complicity in environmental crime; the promotion of sweatshop labour; and most importantly, the contribution to the geological instability of London by enabling overweight felines to dig enormous basements. 2. Observance of BND is analogous to the fast days found in all major religions. Abstinence gives us permission to pause in the midst of the frenzy, and the space for contemplation about the true meaning of shopping.